At DORA Construction, they build success by ensuring that innovative solutions are technically feasible to implement cost-effectively, while ensuring future operating costs of the building are economical. They also ensure success by engaging with their clients to fully understand the business objectives and vision for every project in order to provide the best solutions, people, designs and processes. DORA Construction’s design flexibility, innovative building technologies, consistent project management, and the skills and integrity of our people, are their promise of commitment to every project and all of their clients. DORA Construction builds solid projects through engaged client relationships and delivers superior solutions and quality results, exceeding client expectations. 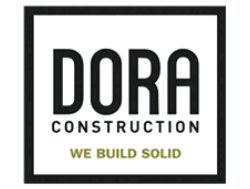 They invite you to learn more about the passion, people and experience that is the solid foundation of DORA Construction.